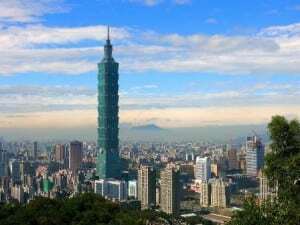 Taiwan’s public and private sectors are implementing a number of initiatives aimed at transforming the island into one of the region’s top Muslim-friendly travel destination. A total of 85 travel-related businesses and facilities hold Halal certification nationwide, including National Palace Museum and Taipei 101, as well as hotels and restaurants in tourism hot spots like Alishan and Sun Moon Lake. In addition, Islamic prayer rooms are available in Taipei Main Station, Taiwan High Speed Rail Corp.’s Taichung Station and Taoyuan International Airport, with more planned for highway service areas. Eric K. Y. Lin, director of International Affairs Division of the Tourism Bureau under the ROC Ministry of Transportation and Communications, said these undertakings reflect the value the government places on this growing segment of the international tourism industry. Michael Liu, a spokesman from Taipei Financial Center Corp.—operator of Taipei 101—said an array of Muslim-friendly facilities are under consideration by the management team of the world’s tallest green building. “We are looking to open a prayer room and ablution amenities in the mall or observatory,” he said, adding that the landmark structure is targeting high-end Muslim visitors willing to spend US$200 to US$300 per day during a six-day visit. Taipei City-headquartered L’ Hotel de Chine Group is also working to attract Muslim tourists, specifically from Southeast Asia. Group President and former Council for Cultural Affairs Minister Emile Chih-jen Sheng said these facilities give the organization a great advantage and has propelled it to a position of industry leadership. Tourism Bureau statistics revealed that Taiwan welcomed around 200,000 visitors from Muslim-majority countries in 2015, up 11.1 percent from the year before. IAD Director Lin said given that Muslims comprise nearly a quarter of the global population, there are still plenty of opportunities for Taiwan to tap this niche market. “The ROC Ministry of Foreign Affair’s project for simplifying visa regulations for high-end group tourists from Southeast Asian countries effective November last year is certain to further boosting the visitor numbers.